This fiery sausage has become a staple in French and Mediterranean cuisine. 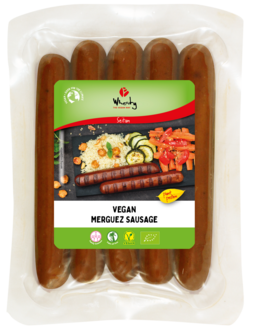 Originally from North Africa and normally made from lamb or beef, it is now finally available in a completely vegan variety! 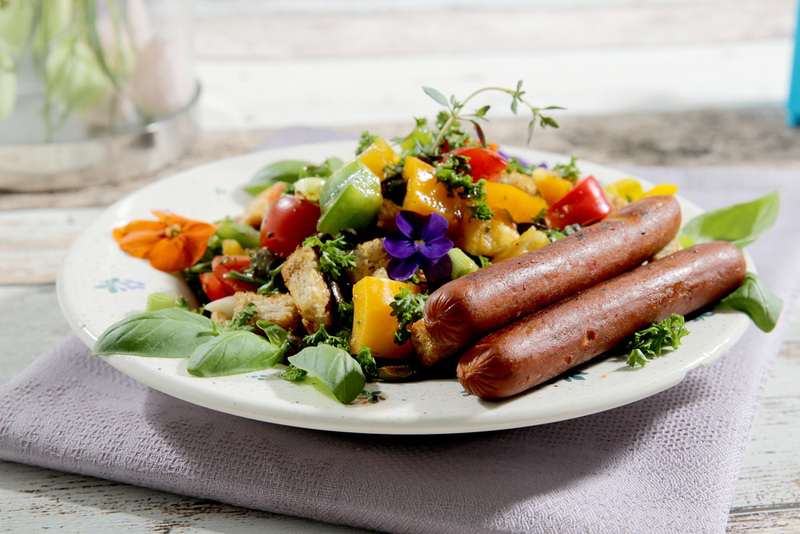 The Merguez is traditionally hot and spicy, and works great grilled, or as an exotic addition to stews, casseroles, and much more. seitan* (water, WHEAT protein*) 72%, onion*, high oleic sunflower oil*, spices*, red bell pepper*, yeast extract*, rock salt, thickening agent: agar-agar*, guar gum* and locust bean gum*, smoke** * = certified organic. **= natural beech wood smoke.